I was confused because Viktor mentioned "spy ship". Mike E wrote: I thought it is a research vessel... Or is that just a mask? It is a research ship. It's no spy ship. I was not kidding. Mapping sea surface (unlimited range) is just the thing Russian subs need and in that sense we are talking about spy ship. In that case it is a research vessel with military purposes or something like that. 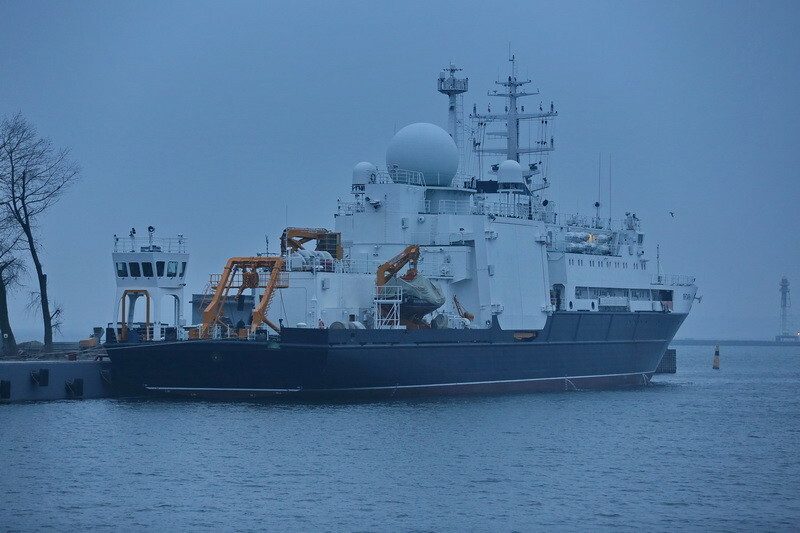 “In December we deliver the oceanographic vessel “Yantar”, now it is on the sea trials,” said the source. 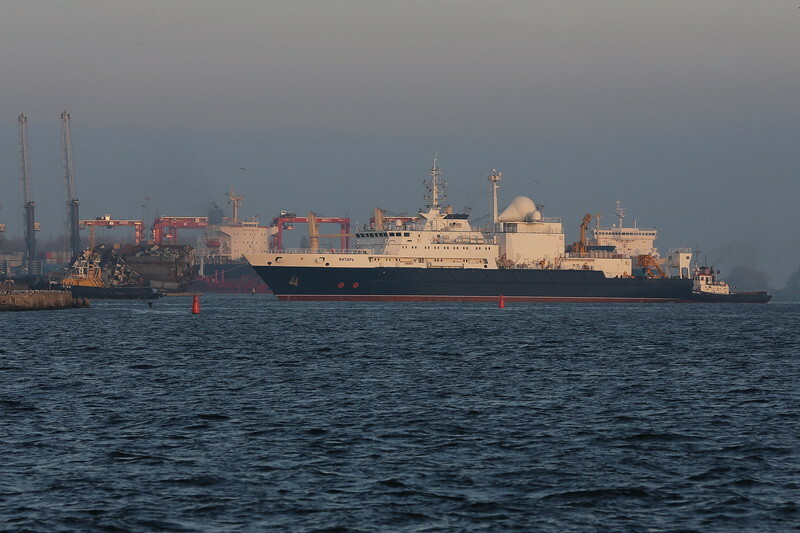 The vessel was built by Kaliningrad shipbuilders on the contract signed with the General Directorate for Deepwater Research of the Defense Ministry in February 2009. The vessel is based in the port of Baltiysk, where from November 5 an active phase of the factory running tests began. 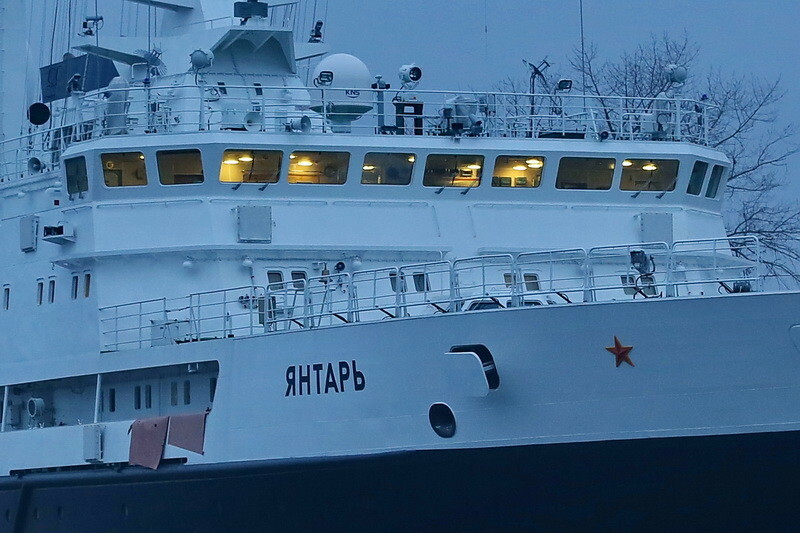 For November 13 it is scheduled the first exit of “Yantar” in the Baltic Sea, where in the “natural marine environment for the ship we will test all the components and mechanisms of the vessel,” said a representative of the press service Tamara Kadanova. 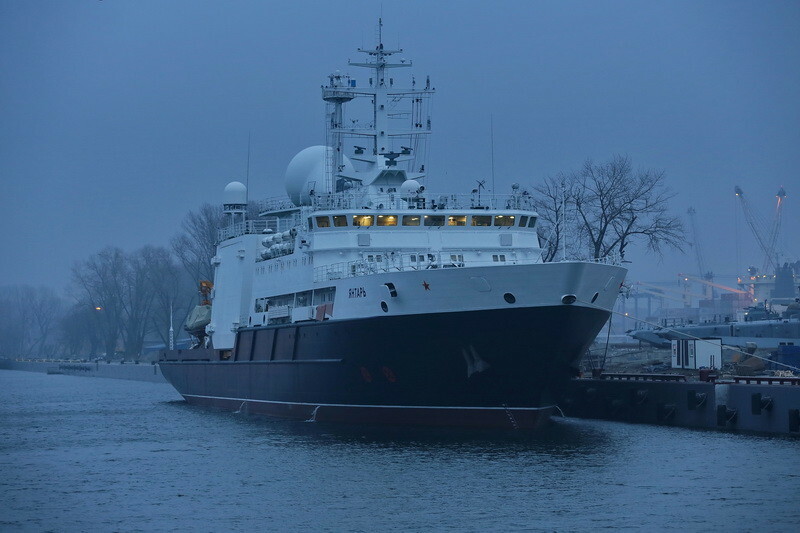 Oceanographic vessel “Yantar” with unlimited area of action is a lead ship of the project 22010 developed by the Central Design Bureau “Almaz” was laid on the day of the 65th anniversary of the factory “Yantar” – July 8, 2010. The vessel is designed for deep research in the water and on the ocean floor. 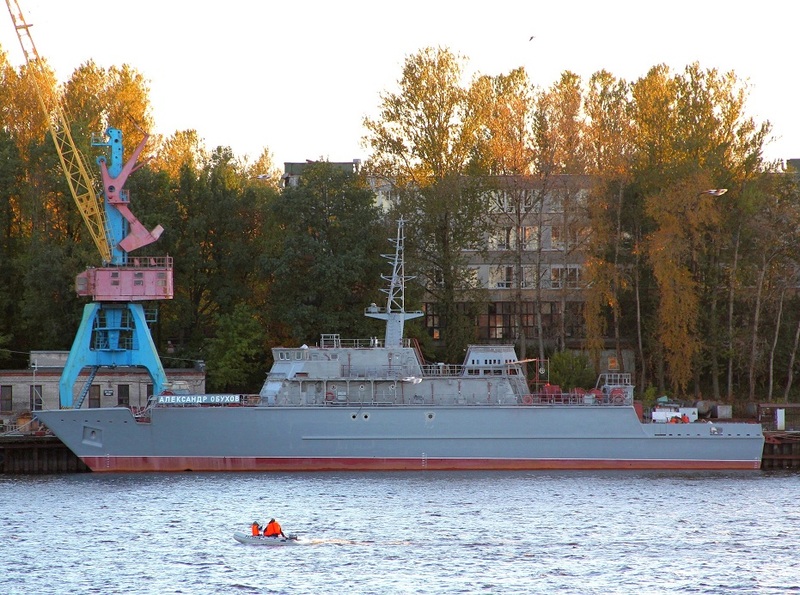 Construction of rescue ship “Igor Belousov” entered the final stage. The new vessels will be used for the carriage of special liquid cargo: diesel, fuel oil, jet fuel and other. Tankers can be used to carry dry cargo on surface ships, ships and submarines. The length of the vessel is 145 meters, width - 24 meters, deadweight (capacity) - 120,000 tons. And here is a video of the ceremony for laying out the two tanker/resupply ships in Kerch (Crimea). The ZALIV shipyard looks like a fairly large one. By the way, the Crimea also has the FEODOSIYA shipyard where the ZUBR class hoovercraft were made. Interesting to see what orders they will get. TheArmenian wrote: And here is a video of the ceremony for laying out the two tanker/resupply ships in Kerch (Crimea). Before the Feodosiya shipyard gets orders, it needs to be modernized. The Chinese ordered a Zubr hovercraft a couple years back, and it was delayed because a piece of the shipyard interior's ceiling broke off, fell and damaged the Zubr hovercraft. It won't be Zubrs, since they could have just built those in Russia if they wanted to earlier. Zaliv is a big one, they built the massive Sevmorput back in the day. They also built a bunch of frigates back in the day. It looks like they are getting some work from Zelenodolsk. Who knows, maybe in the future they will build something frigate+ sized. Could probably do it faster then Amur can these days. Oceanographic research vessel project 22010 "Yantar"
Project 21300 IGOR BELUSOV returning from sea trials in icy waters. Russian Navy gets Project 18280 intelligence ship: the Yuri Ivanov. Patrol boat project 03160 "Raptor"
The team of supply vessels of the Pacific Fleet in Kamchatka adopted two offshore tugs RB-406 and RB-407 of project 16609. They will perform mooring operations for the new submarines of Project 955 type “Borey” whose arrival is expected this year, the official representative of the Pacific Fleet captain 1st Rank Roman Martovtold Tass. “In addition, the vessels will perform towing and canting operations in the interests of ships group of forces in the north-east of Russia,” he added. In total in 2014 the Pacific Fleet in Primorye received 6 tugs of different classes, and in early 2015 the fleet will receive another one – “Alexander Piskunov” of project 22030. Nice looking vessel but no hangar facilities for the helicopter landing spot on the bow? "Harbor tests of Aleksandr Obukhov, the head ship of the new Aleksandrit minesweeper class, have started in St. Petersburg, the Navy reported. The ship, with a unique fiberglass hull, is to be accepted by the military in November. According to the Sredne-Nevsky shipyard, the ship manufacturer, it took only 1.5 days to produce the hull using vacuum infusion technology. Both the speed and the size were record-breaking. One-piece plastic hulls are usually made for ships less than half the size of the Aleksandr Obukhov.". 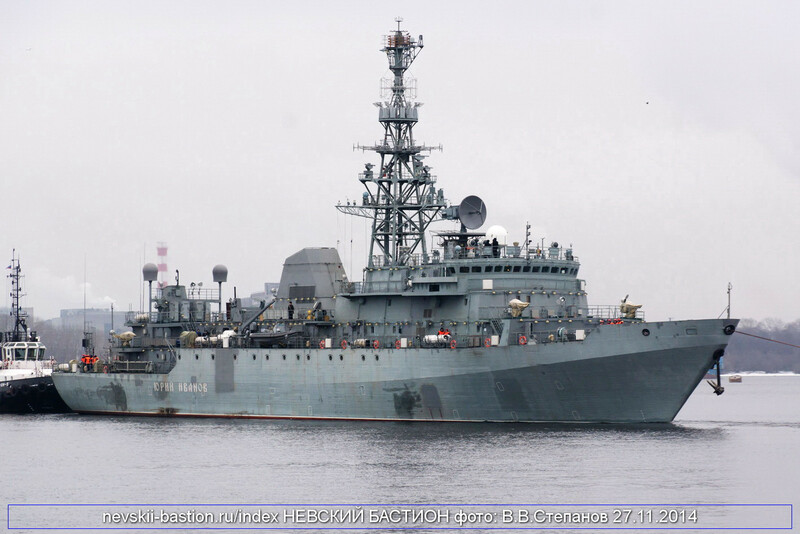 Honesroc wrote: "Harbor tests of Aleksandr Obukhov, the head ship of the new Aleksandrit minesweeper class, have started in St. Petersburg, the Navy reported. The ship, with a unique fiberglass hull, is to be accepted by the military in November.